The much talked about in past few weeks, Nokia’s new budget Windows Phone, the Lumia 525, is finally official. Although, the availability and pricing of the Lumia 525 for various markets is yet not unveiled however as per Engadget, the Lumia 525’s official listing includes three regions – Africa, Asia Pacific and Middle East. The best part about Nokia Lumia 525 is that it features 1GB of RAM, which is double than the RAM on other budget Lumia smartphones such as Nokia Lumia 520, Nokia Lumia 620 and Nokia Lumia 625. 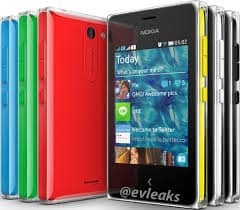 However, all other specifications of this smartphone are identical to that of Lumia 520. The Nokia Lumia 525 runs Windows Phone 8 with the Lumia Black update. Much like other Nokia Lumia smartphone, the Lumia 525 also includes popular location and navigation apps such as HERE Drive, HERE Maps, and HERE Transit.